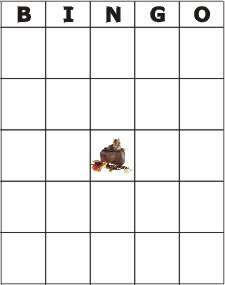 Looking for printable bingo cards for your upcoming party? Look no further. Below are three free sets of printable cards suitable for bridal showers, baby showers and other parties. Above them are 15 different occasion bingo cards available for immediate download upon purchase. Instructions for the three free bingo games can be found on the applicable pages. I have provided a link for those instructions beneath each sample card. I would recommend that you print these pages on cardstock (available at office supply stores), however, it is not necessary. Please note: To view these printable cards, you will need Adobe Reader installed on your computer (the latest version is recommended). You can get your free Adobe Reader here (a new window will open so you can download without leaving this page).